This anti-theft backpack is paying us a visit from the future. 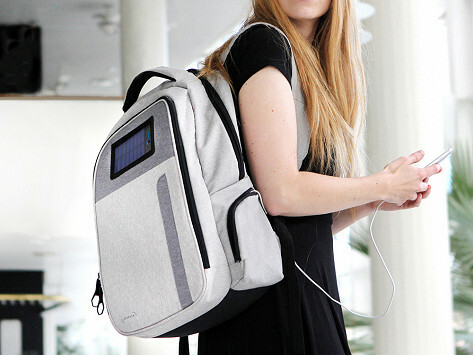 It’s equipped with a solar-powered power bank/Bluetooth speaker combo and an integrated lock so you can connect it to something stationary to keep your belongings safe. It also keeps you organized and your stuff protected, with features like a super cushiony back, key holder, built-in rain cover, and padded laptop storage. Dimensions: 12.4" x 19.5" x 6.9"
The backpack was for my son! He really love it! He can't thank me enough for purchasing it! 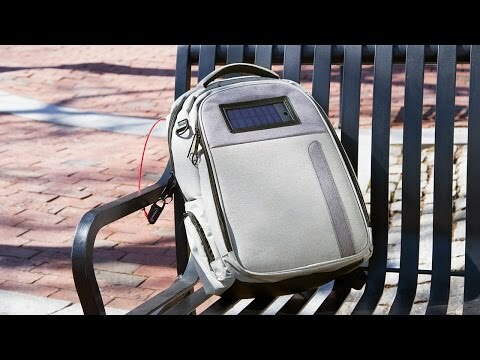 Lifepack is an overachiever—an anti-theft backpack that charges your phone, plays music, and locks your possessions inside. Its minimalist design even uses solar energy to fuel the 2-in-1 Bluetooth speaker and two-slotted power bank. Maker Adrian Solgaard started troubleshooting after his date’s purse was stolen. He created a backpack that’d be really hard to steal and loaded it with features in the process. In addition to its superpowers, Lifepack has a super cushiony back and has many other helpful components—a key holder, built-in rain cover, and padded laptop storage to name a few. Lifepack is so rich in functionality, we call it the backpack that’s got your back.